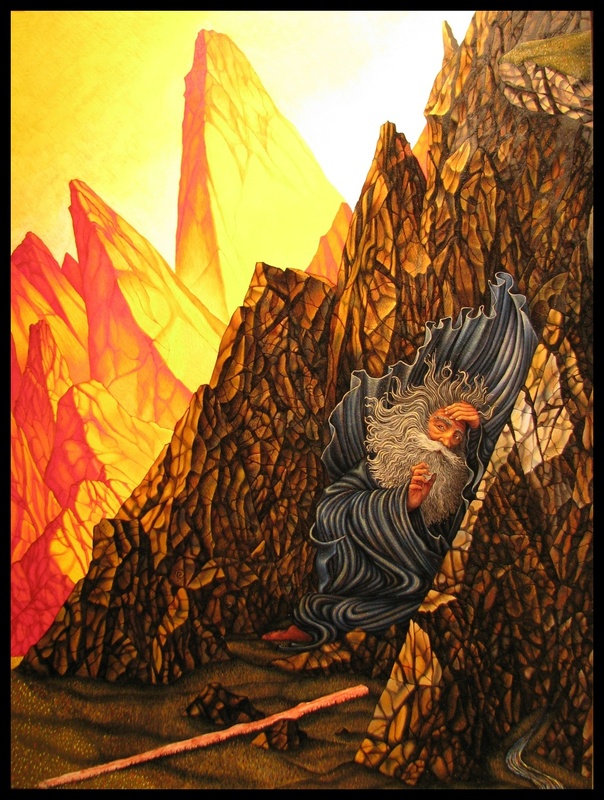 Here is the latest work on the painting of Moses in the rocky cleft as the glory of God passes by. It may appear complete, but there are many details and adjustments that need to be made still. please forgive the light disturbance in the photos. Lovely! What inspired you to do this particular piece? Thank you. I have been considering your earlier question about my inspiration. As you can maybe tell from the sparseness of text hereabouts, words are not always easy. But as simply as I can put it, I have been moved by Moses’ desire to see the glory of God. When I paint some subject it is out of a desire to understand what I don’t know, to seek its meaning more intimately. In many cases of the biblical characters that I paint it is either out of an empathy or shared struggle, such as Jonah, or Jacob, or a desire to see what God will teach me about these men as I am painting about them, or to attain and strive for something (I see in these men) I cannot attain. 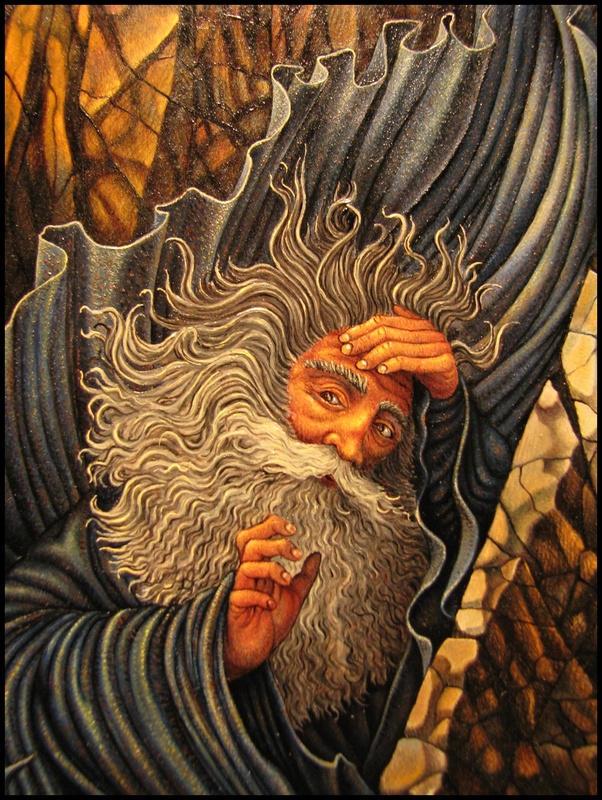 When I paint I am sharing a special language between God and myself, and sometimes others as well- perhaps you, Yaakov?, in the case of this painting of Moses (Moshe). Now that is one fine source for inspiration! I really like making Judaic inspired pieces. Knowing that what I make might boost somebodies kavanah (i.e. concentration/getting into the zone) by making something very becovodic (i.e. for the glory of HaShem [G_d]). Wood is a beautiful think and HaShem made it, so I like to show off HaShem’s glory. Keep up the great work. You inspire me! PS. Have you ever done a piece about my biblical hero Betzahlel? Hi Jack! My name is Jim. I love your piece Moses in the Cleft of the Rock. I am seeking for ways to augment worship time in churches and fellowships. There is a song I heard at a church today whose main chorus is “Show us Your glory, Show us Your power, Show us Your glory” This cry comes right from Exodus 33:18, the theme of you piece. Could I get your permission to use an image of your work from the internet, or would you like me to pay for permission? If so, how much would you charge?